We’ve been back to the Beacon for more Junior Rangers fun! Today the session was Clay Crafts, I’ll be honest I think I may have been looking forward to this as much as the munchkin was! Artist, Sarah Jane Richardson, took the session which took place outside. It was a lovely afternoon except for a little spot of rain, the rangers quickly put a gazebos up so we didn’t have to abandon what we were doing. 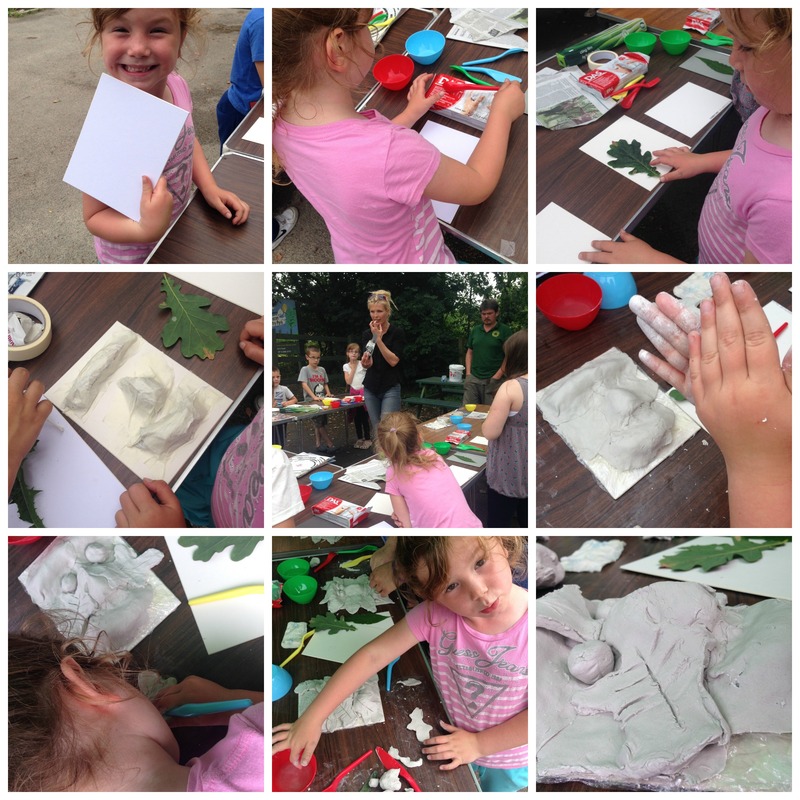 We were all going to create our own version of The Green Man, she gave a little background to the history and showed pictures of examples of what we would be creating. We needed to choose a leaf that we would use as a template. 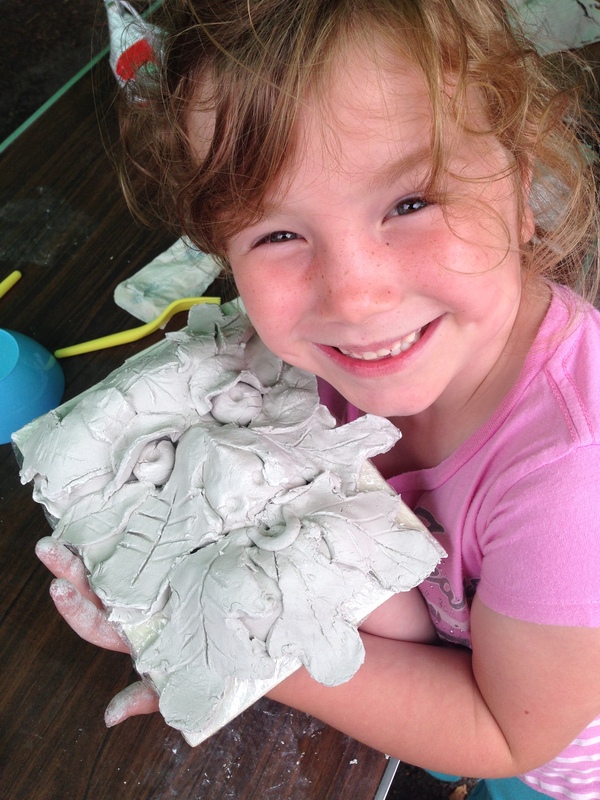 The munchkin, in all her wisdom chose an Oak leaf, which are really pretty but probably not the easiest to sculpt. Sarah gave instructions in stages, each stage was fairly simple so you didn’t have to be a clay expert and all creative abilities were able to take part! She spent time going round the group to see how they were doing and helping them out where needed. She was lovely, told the kids how well they were doing and gave helpful tips on how to make their green man even better. The munchkin loves encouragement so this really spurred her on to take her time and put detail into her creation. I, of course, needed to help her in parts. I couldn’t resist joining in and it did take a lot of restraint to not take over! The munchkin said we made a great team and I have to agree. 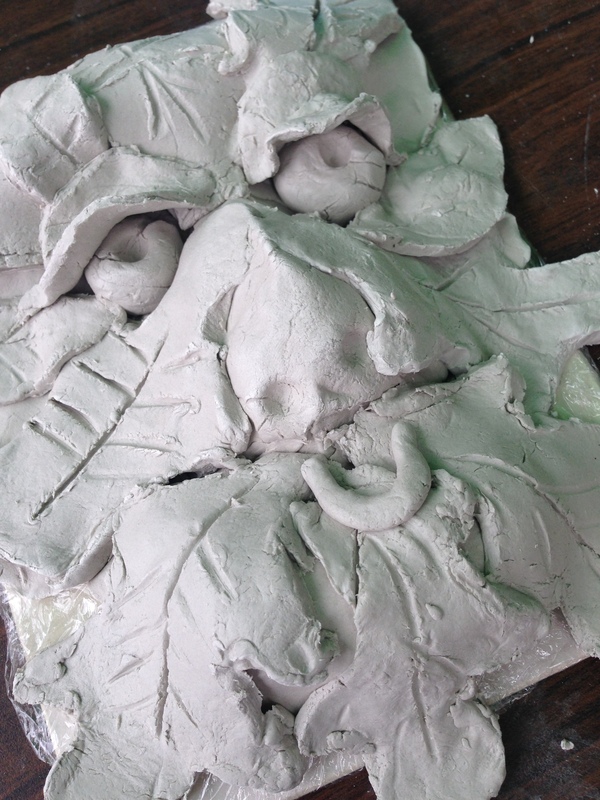 I was really pleased and quite impressed with how our green man turned out! She was pretty chuffed with herself too! Another great afternoon as Junior Rangers, can’t wait for next week, I mean the munchkin can’t wait for next week!